We have at Brand Unit been big fans of Wrenchmonkees since the beginning and helped them with wholesale of apparel since 2012. In September 2015 we bought the trademark Wrenchmonkees Apparel. This means that we now control Wrenchmonkees Apparel in close partnership with Wrenchmonkees Motorcycles. Wrenchmonkees Journal for SS18. Available in WM stores in Europe, Russia and South Korea. Performance test - Driving, wrenching, racing and sleeping in Wrenchmonkees Apparel. 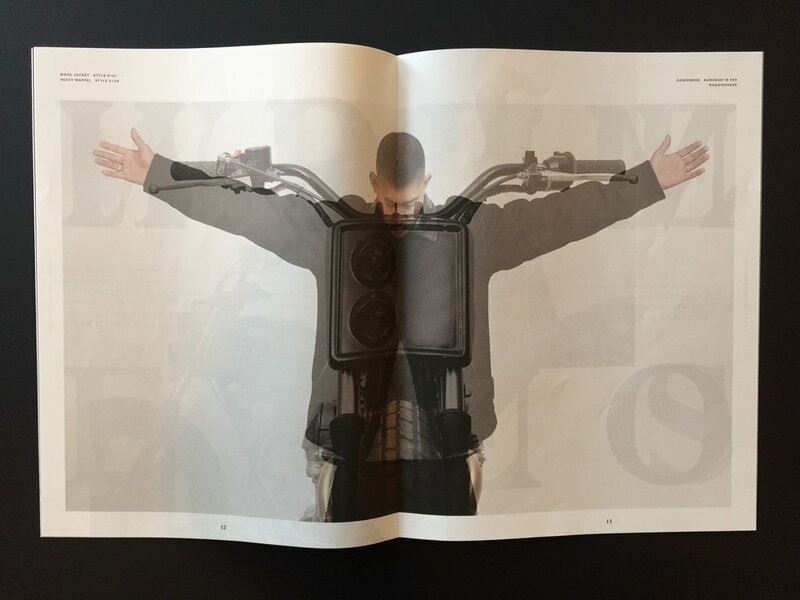 Each year we build a motorcycle, which is both inspired by and inspiration for the current year's collections. On this picture is the Wrenchmonkees AW16 bike made for the 2016 collections. In 2015 we collaborated with Red Wing Heritage on the design of a limited edition Wrenchmonkees Iron Ranger no. 4545, which merge Scandinavian functionality and American craftsmanship. The boot got a clean and simple design and is equipped with brass eyelets and speed hooks reflecting the brass details that are often seen on the Wrenchmonkees bikes. Part of the Wrenchmonkees collection is manufactured by KANSAS, who has been manufacturing superior quality Danish workwear since 1952. Wrenchmonkees AW17 at the Selvedge Run trade show. Photoshoot of the SS17 collection at Wheels and Waves in Biarritz, France. Video showing a sneak peek of the garage and the connection between motorcycles and apparel. The Wrenchmonkees stand at Revolver Copenhagen Int. Fashion Trade Show during February 2017. The motorcycle is named MonoMonkee and is made specially for our AW17 collection.